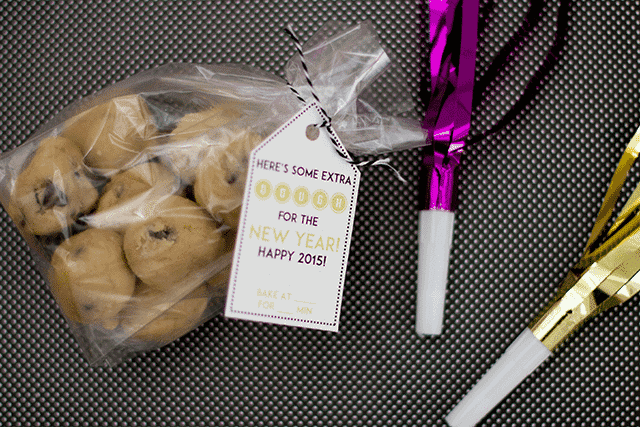 10 Family New Year's Eve Tradition Ideas - So Festive! 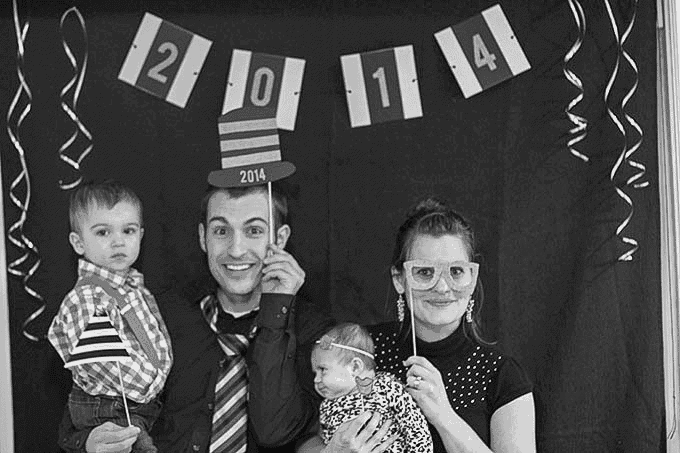 Here’s 10 Simple New Year’s Eve Traditions your whole family will love. Celebrating New Years Eve was always a family affair growing up. 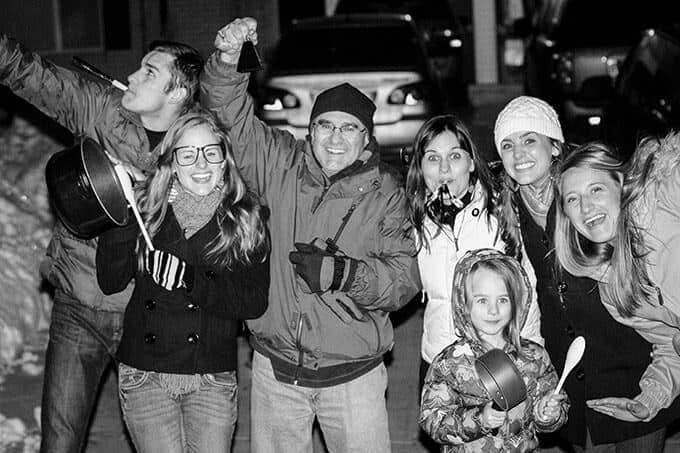 If you’d like to start some of your own meaningful family New Year’s Eve traditions, this post is for you! As always, no pressure to do them all. Just pick your favorites for a fun New Year’s Eve together! New Year’s Eve was the only night of the year that us as children got to stay up as late as we wanted. Some of you may be cringing at this idea, so I’m not saying it’s a must. But… usually there are very little commitments on New Year’s Days, so we were always able to sleep in after a long (or short) night. Staying up as late as we wanted was an absolute treat! There was no bedtime to fight and since our celebrations involved the family, we weren’t intruding on any of the festivities. If you ask my husband about New Year’s Eve traditions, he’ll tell you his favorite is the food. And I would have to agree. Since New Year’s Eve is a long celebrations, it’s fun to have a variety of appetizers, treats, and other snacks to munch out throughout the night. We don’t do a formal dinner that night, because it’s fun to eat foods we don’t normally get. For Kids: Let them pick out a few treats or snacks you usually don’t buy! Some of our favorite appetizers/treats include: Orange chicken bites, pizza pockets, mozarella sticks, sweet cheese ball and vanilla wafers , jalepeno poppers, popcorn, crackers and cheese, and veggie/fruit platter. Fun idea: if you do want to have a dinner, I’ve heard families cooking breakfast for dinner and making an assortment of breakfast foods. That would be fun to try some year! Another fun New Year’s Eve tradition is playing games as a family. We would usually get a new game for Christmas, so New Year’s Eve was the perfect night to play them all! Tip: Buy wooden spoons from the dollar store that you don’t care about! 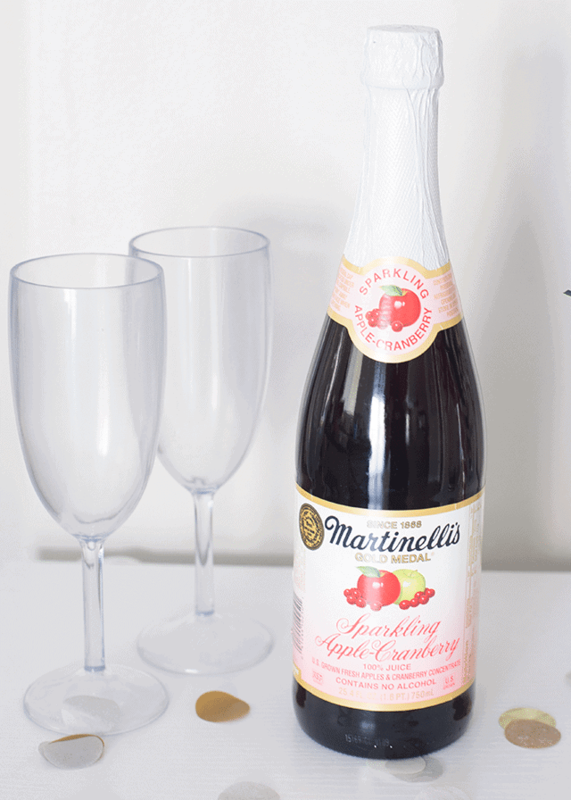 Have a family-friendly toast with non-alcoholic sparkling drinks, such as Martinellis. Or whip up some fun Italian sodas. 6. Have a special treat or game for each hour to make the time go by quicker. Make the night extra fun for littles by having a special treat, snack, or game for them to open on each hour. We did this a few years ago and the kids loved it! And seriously, the time passed by so quickly. 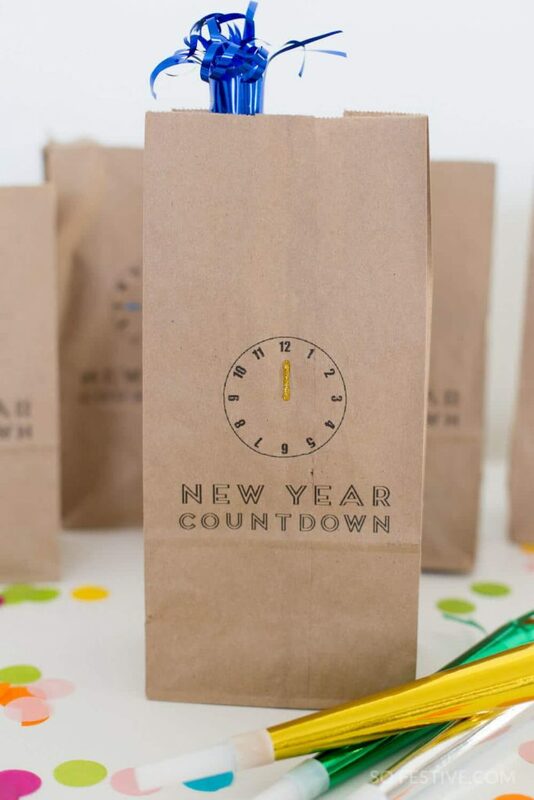 Get the free printables and more details about the New Years Eve Countdown Bags here. Chances are you have probably taken a million family videos from the year. Compile them before New Year’s Eve and take some time to watch them. We love watching all our family videos from the year and even year’s past. It will be so fun to see how everyone has grown and it’s a great way to look back on your year. Taking a New Year’s family photo is one of our favorite traditions! In fact, my family usually gets really into it and we all wear black and silver or gold for our New Year’s Eve party. 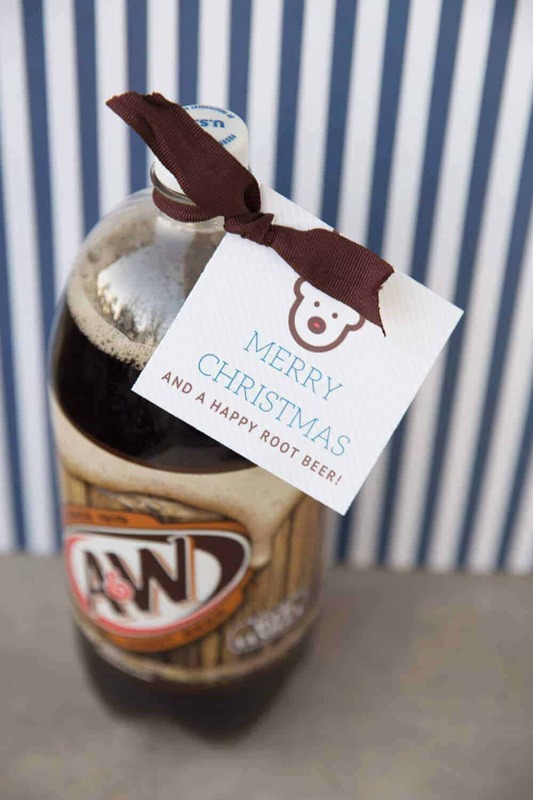 Most people’s Christmas goodies are gone, so they aren’t sick of getting more treats. This way, they are more spread out. 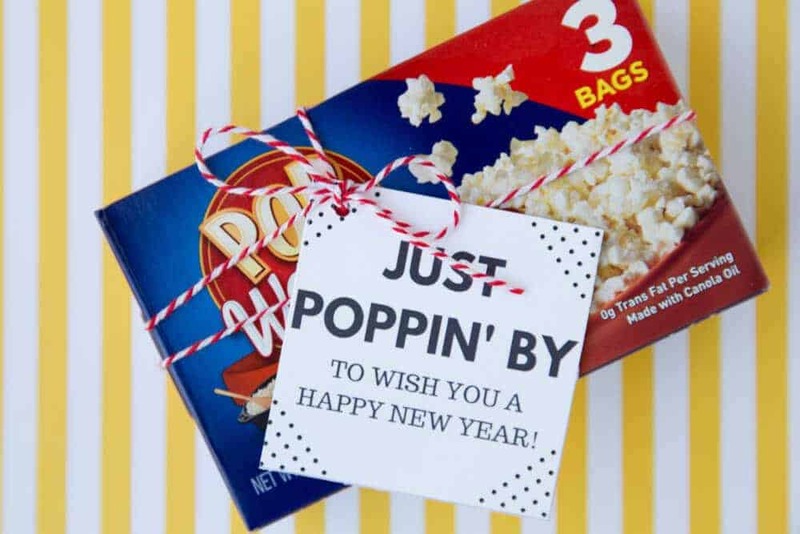 “Just Poppin’ By to Wish You a Happy New Year!” — tags here. Here’s some Extra Dough for the New Year! — tags here. We keep a Family Goals binder where we update our goals and reminisce on the last year’s goals. If we’re really good, we pull them out monthly or at least a few times in the year to check our progress. 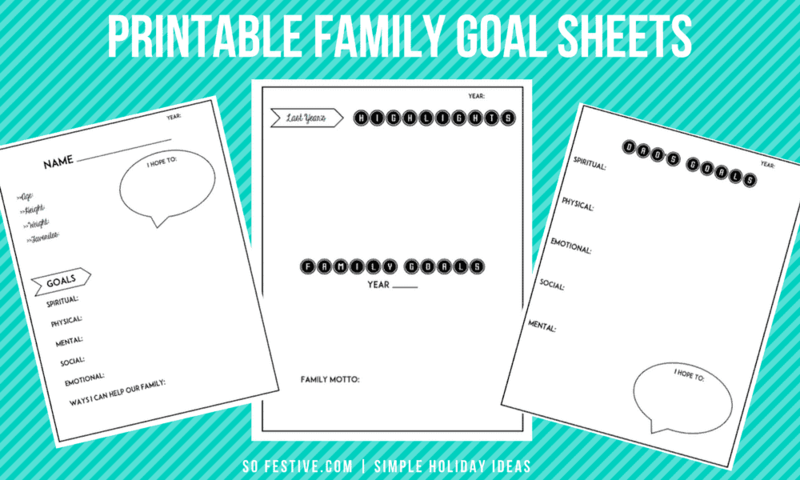 You can grab the printable goal sheets right here. Have fun celebrating the New Year!